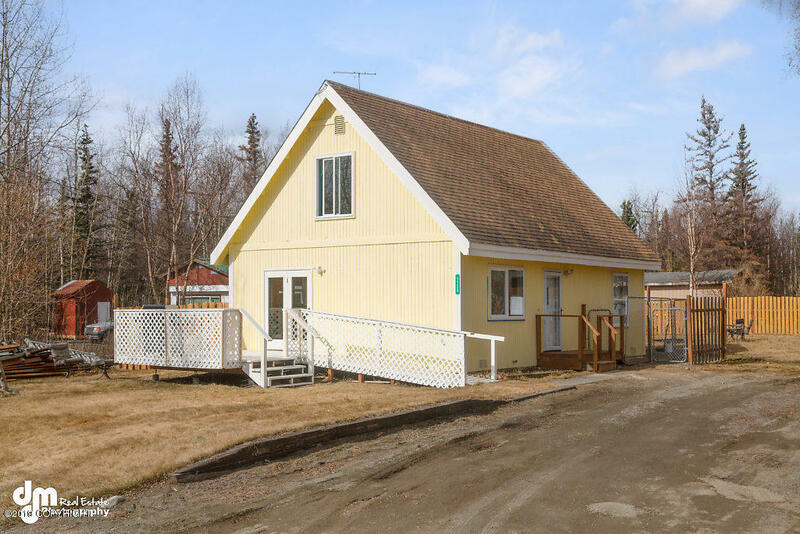 1735 N Tanana Drive, Wasilla, AK.| MLS# 19-5252 | Mossy Oak Properties | 907-357-5100 | Wasilla AK Homes "For Sale" Alaska Businesses "For Sale"
Immaculately kept 3BR/2BA home nestled in the heart of Wasilla. Main-level master bedroom has extra room attached that could be an office/den or converted back to a 4th bedroom. Large front porch and fenced back yard is perfect for entertaining and complete with storage shed. Newer hot water heater & furnace. Only minutes from schools & shopping!